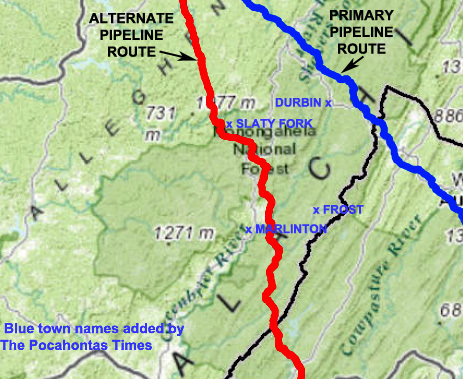 The Federal Energy Regulatory Commission has asked developers of the planned Atlantic Coast Pipeline to consider an alternative route through the Monongahela National Forest that would veer southward from the currently proposed route, to avoid environmentally sensitive areas, including the Cheat, Back Allegheny and Shenandoah mountains, and use existing utility right-of-way corridors whenever practicable. The planned 42-inch-diameter, $5.1 billion, 564-mile pipeline would extend from Harrison County to southeastern North Carolina, carrying natural gas recovered from wells drilled into the Marcellus Shale formation in North Central West Virginia. About 17 miles of the Monongahela would be crossed before passing into Virginia. The commission’s call for pipeline planners to “evaluate and optimize” the alternative route was part of a 168-item request for environmental information sent by the federal agency late last week in response to Atlantic’s 30,000-page application to build the pipeline, filed in September and accepted in October, setting an environmental review process in motion. Among reasons cited by the commission for seeking an evaluation of the southerly alternative route was the potential for avoiding damaging and fragmenting habitat for rare plant and animal communities, crossing national recreation areas such as the Spruce Knob-Seneca Rocks National Recreation Area, and passing through areas being studied for possible wilderness status. The commission’s request also made it clear that any route through the national forest must take into account the Monongahela’s long-range management plan in evaluating affected resources. “Please note that we will not be able to consider construction and operation of any proposed action or alternative unless it complies with the National Forest’s LRMP, or Atlantic has documented that the U.S. Forest Service would amend a respective LRMP for activities deemed inconsistent with the LRMP,” wrote Kevin Bowman, environmental project manager for the commission, in the commission’s request for environmental information. One alternative route in particular — MNF 5 — was cited by the commission for further study by pipeline planners. That route passes south of Cass and Snowshoe, crosses U.S. 219 one mile east of Slatyfork, skirts the northern slope of Cloverlick Mountain and crosses the Greenbrier River just north of Stony Bottom, before heading eastward through Dunmore and entering Virginia, 2.5 miles north of W.Va. 84. Pipeline mileage through the Monongahela National Forest is substantially reduced by following MNF 5, which initially was rejected over terrain challenges cited by pipeline developers. 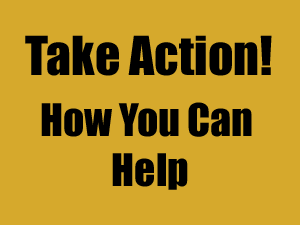 Environmental questions posed by the commission to pipeline planners that are not limited to national forest lands include estimated noise levels for compressor stations, and the effects the pipeline would have on any brook trout streams it crosses.